The dangers of lead poisoning are often overlooked and underestimated. However, in homes built before 1978, lead poisoning is a very real threat. 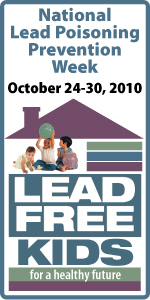 FVHD encourages you to evaluate the risk of lead in your home to ensure your family's safety. If you suspect lead may be a problem, contact us immediately.